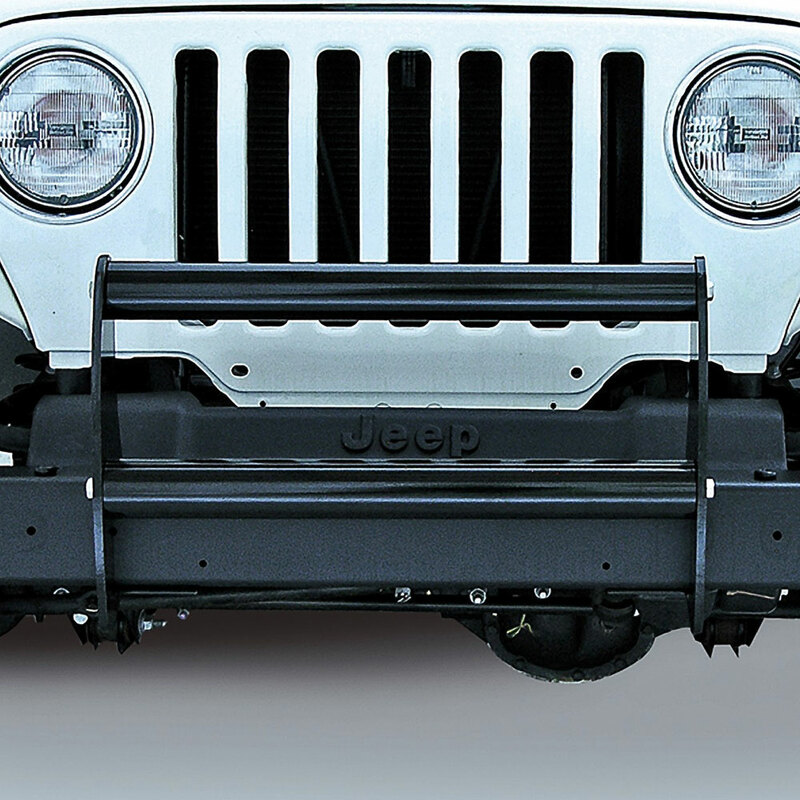 Brush Guard for 1997-06 Jeep Wrangler. Made of 3/8 inch steel side plates and 2.5 inch tubular cross members. . No Drill Install. Gloss Black Powder Coated Steel. With the Outland Automotive Brush Guard, you won't have to sacrifice style for protection. This gloss black one piece brush guard bolts directly onto your existing factory bumper in minutes with no drilling required. It adds the necessary protection for your grille and the front of your fenders.